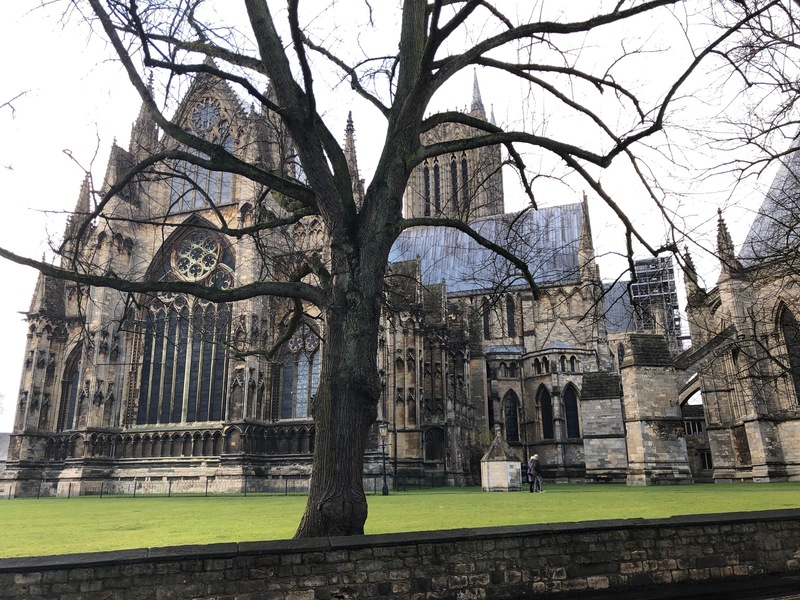 On to Lincoln itself, a city with a fine historic core on its magnificent hill top. The Cathedral dominates the skyline, as well it should. It was reportedly, the tallest building on Earth for nigh on 240 years, surpassing the Great Pyramid of Giza. It was surpassed by a German edifice, and the spire is now gone, a legacy of either earthquake damage or poor construction. It was made from local limestone quarried nearby. 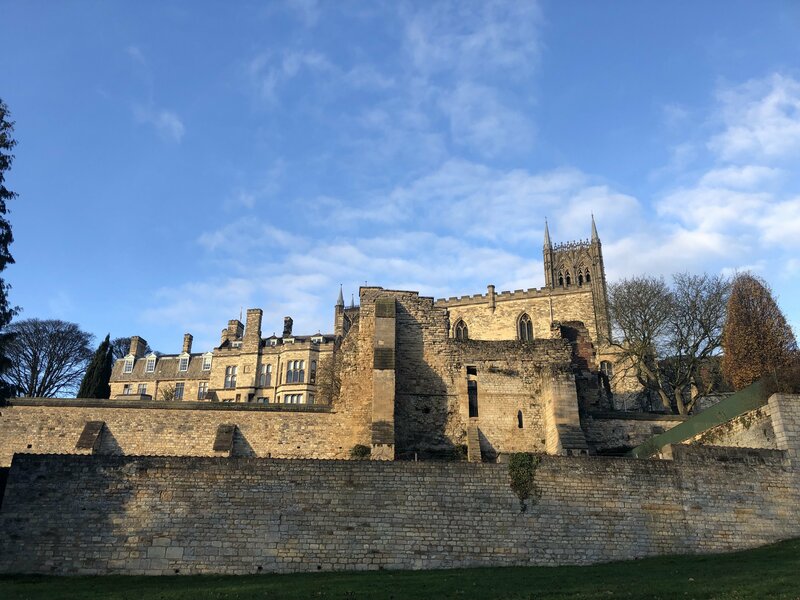 The Bishop of Lincoln was once a mightily important office, he held sway from the Thames to the Humber, and had much to do with Oxford University. We have already heard of Bishop Grosseteste. 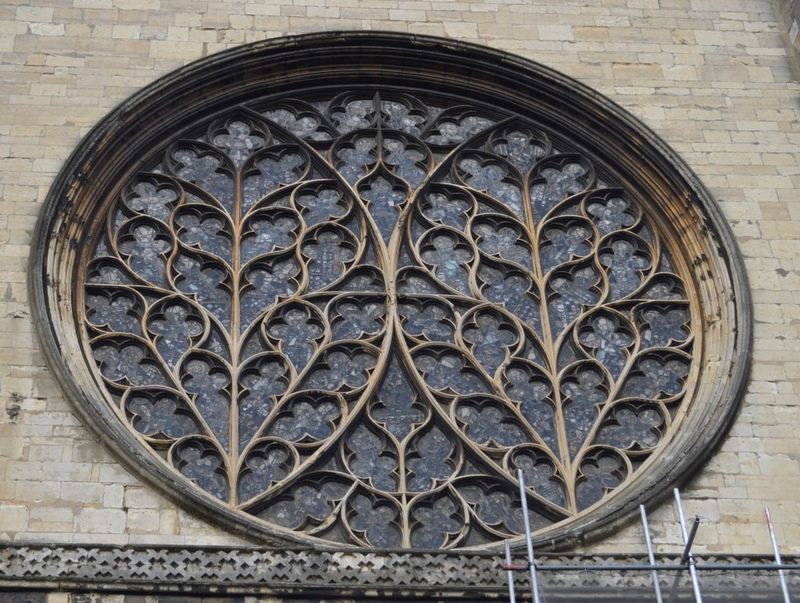 The ‘Bishop’s Eye’ South window, modelled on two lime leaves. 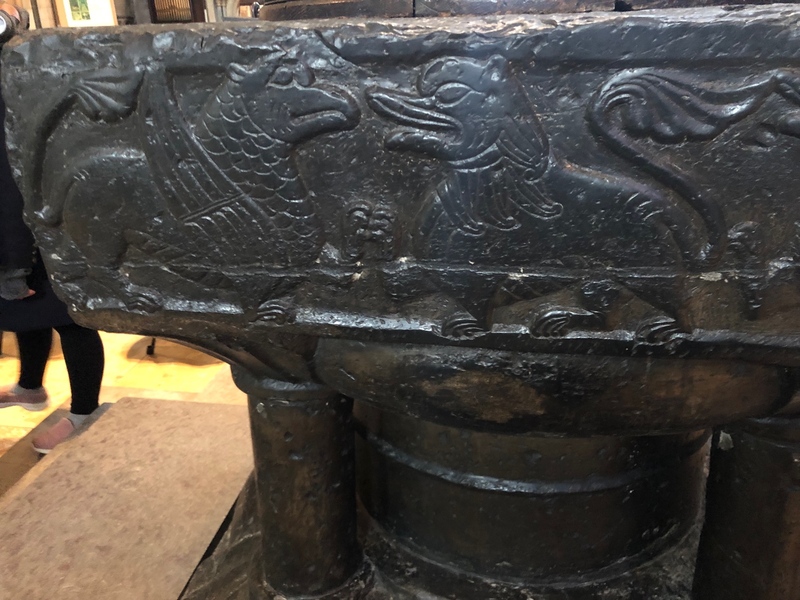 And a rather ornate font. 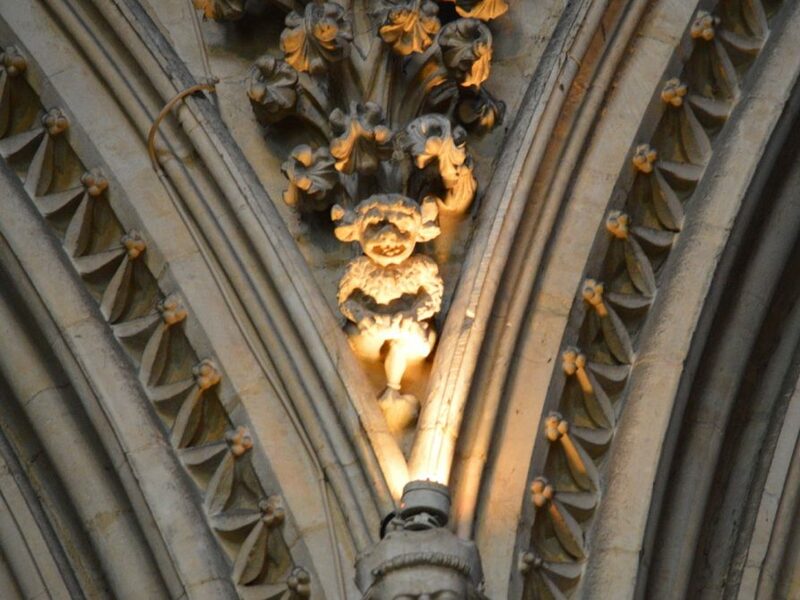 No visit to Lincoln Cathedral is complete without seeing the imp, for a mere 20p he is illuminated, the proceeds going to the choristers’ fund. The Bishop’s former palace, now mainly ruins, under restoration by English Heritage (with no PC hectoring in its exhibitions, hurrah!) and noted for its vineyards in the 14th Century and recently replanted. 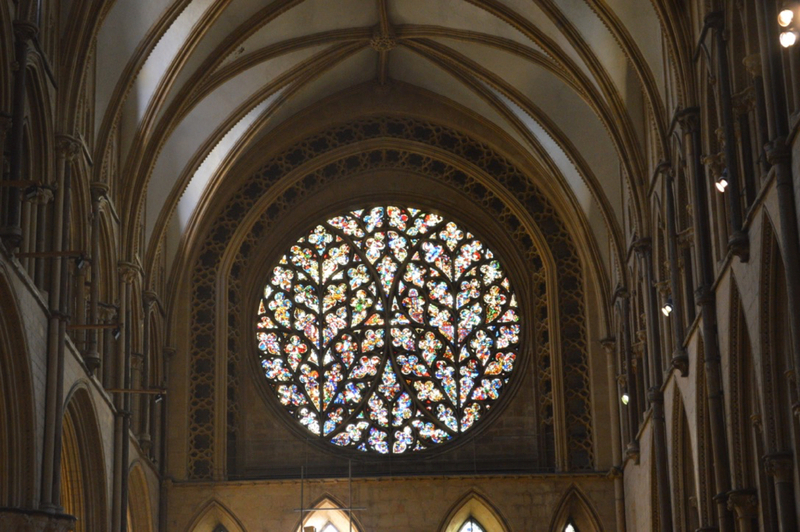 It stands just to the south of the Cathedral. It is undergoing significant restoration. Here we look up from the south, the vineyards would be above the wall. Around the Cathedral, we find the (site of) the house of the noted English composer William Byrd, (the blue house) celebrated for his 1960s 12-string guitar band, which improved on some Dylan and Seeger songs, and gave King Solomon an anachronous lyrical credit for a No.1 on the ‘hit parade’, as they called it back then. The view from Byrd’s house, probably pretty much as he saw it. 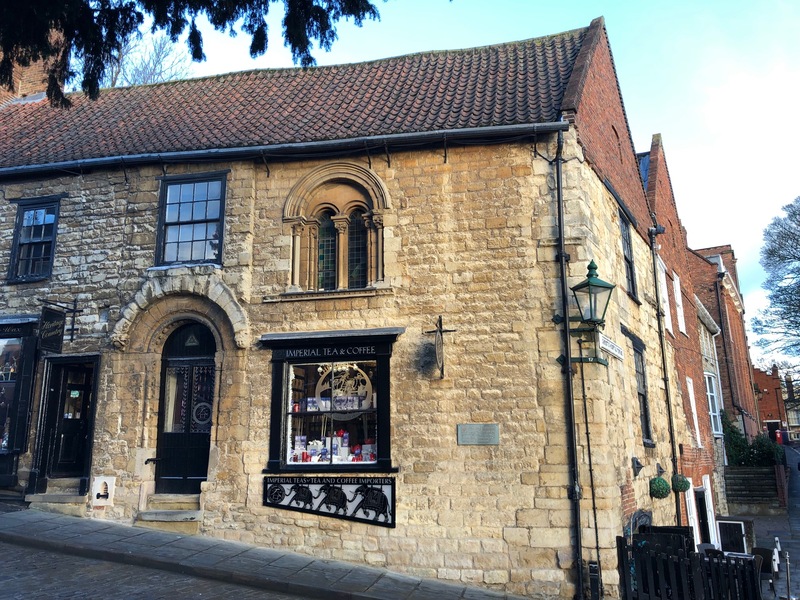 Down the the aptly-named Steep Hill, we find the Norman’s House (formerly called ‘Aaron the Jew’s house’), a fabulously rich financier (you can guess how it ends) but there is some doubt that it actually was Aaron’s house. And further down the hill, we find the Jews House, from the mid-12th century, adjacent to Jew’s Court. 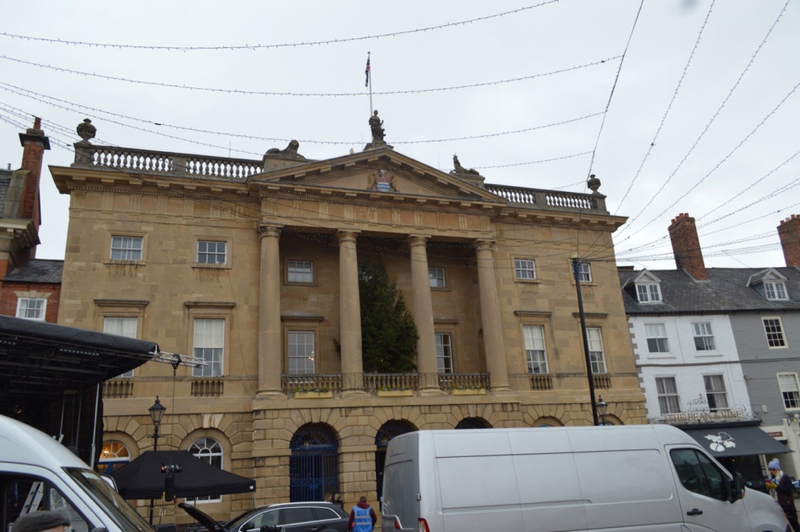 The Jew’s House is now a restaurant, with pork on the menu, oh dear. 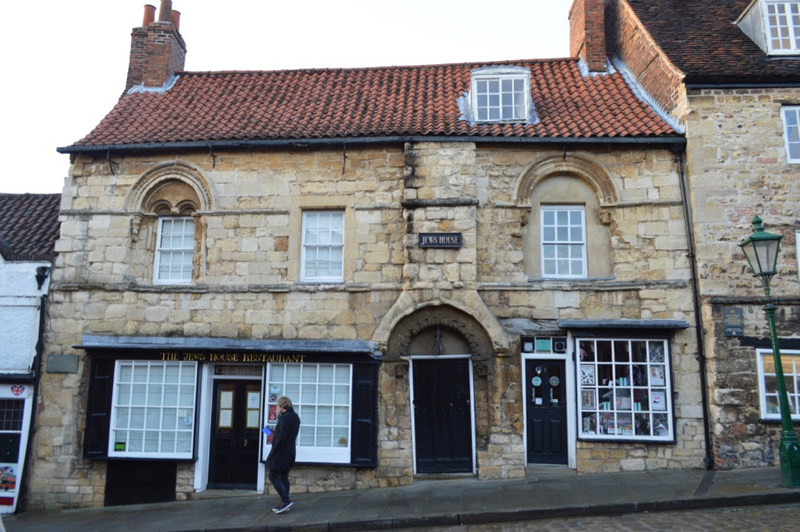 There was an foul blood libel spread in Lincoln from the death of an 8-year old boy, Little Saint Hugh as he was called, which provided a pretext for greedy scoundrels to have a pogrom against their creditors. 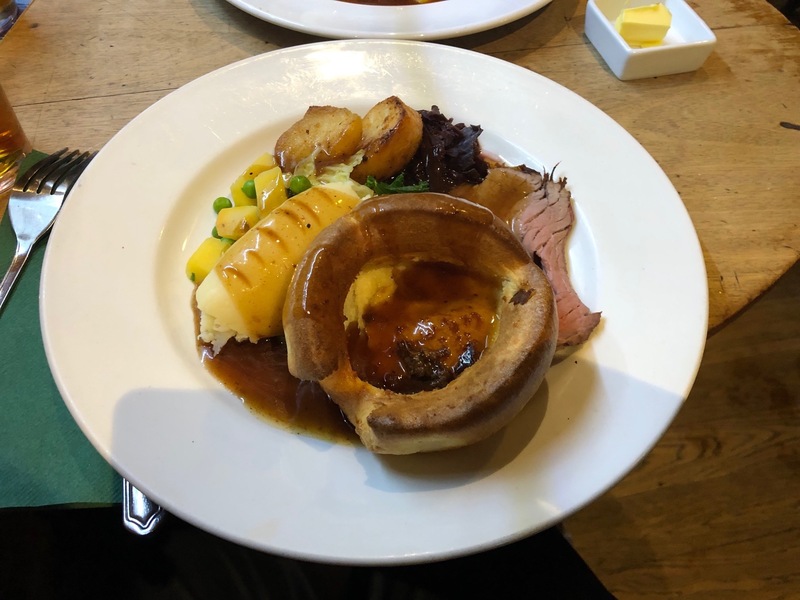 Around the top of Steep Hill, we had a fine roast beef lunch in the Wig and Mitre pub, washed down with a half of a beer named for Queen Eleanor, who viscera were buried in Lincoln Cathedral before her final journey to London (not that we dwelt on that over lunch, it might make one cross). 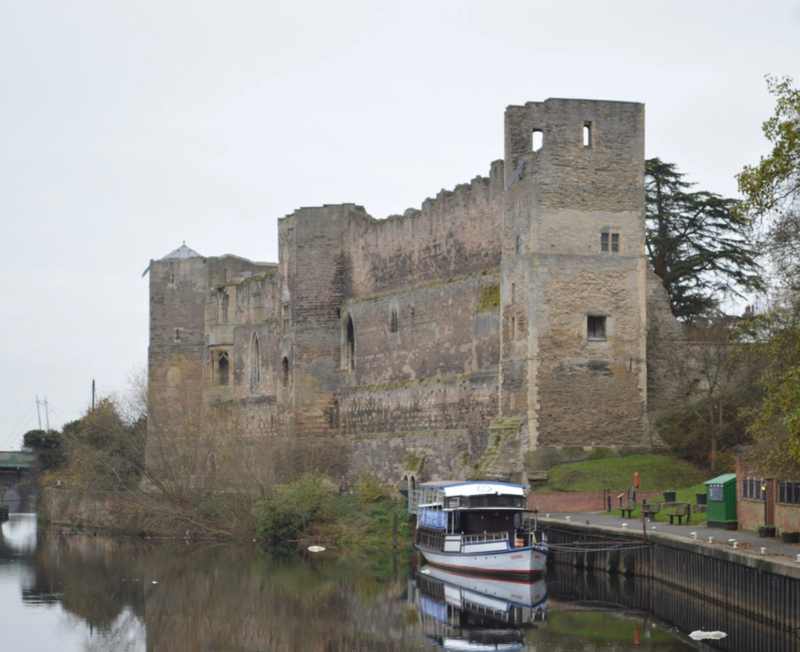 The other site of note is the Castle, a fine Norman fortress, built on a former Roman site, but now used for a Crown Court (the main English Criminal court), and within the castle is one of the original Magna Carta Libertatum (they often miss out the ‘of liberties’ bit, ‘What became of Magna Carta?‘ you may ask’. 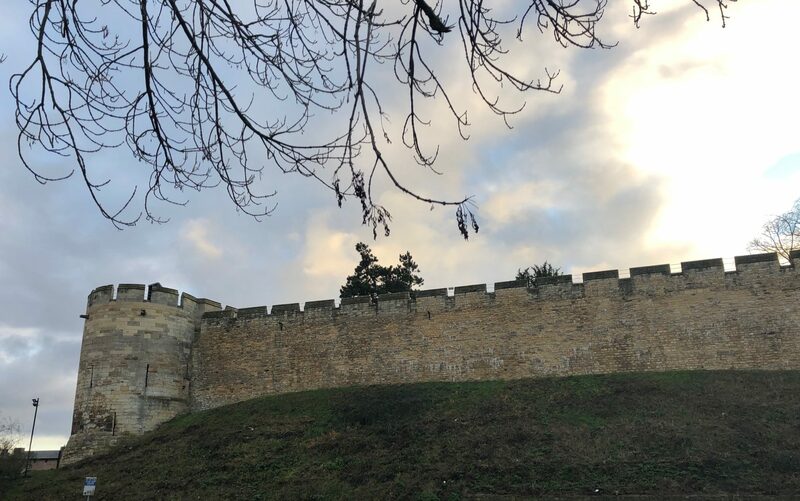 Sadly the Castle has fallen into the hands of the local council, so we did not top up their finances by paying £13.50 each for a wall walk and a view of our birthright. The church spire was reportedly hit by cannon fire, and was besieged by the Scots. 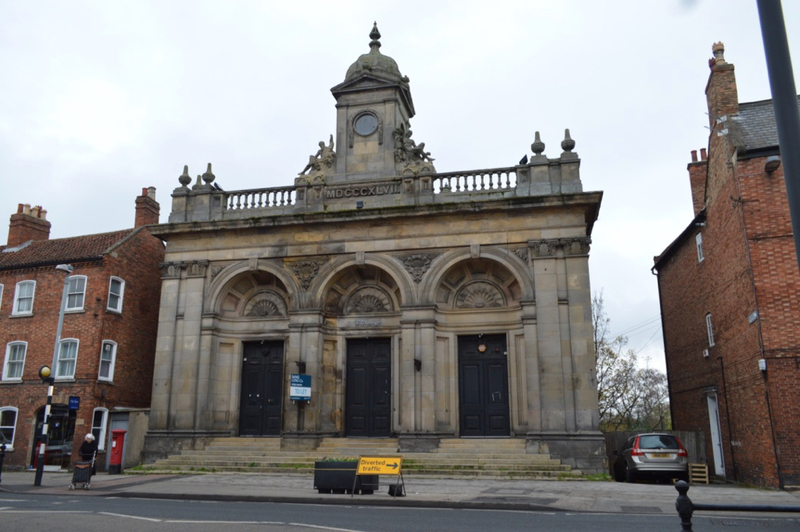 And some fine buildings: The Corn Exchange, sadly abandoned, awaiting a buyer. And there was I thinking it was Boston. You’ll need more than a feeling Patrick, a creditable guess, are you stumped? The mystery town is Newark.I was accosted there by Robert Kilroy-Silk when he was standing for the European Parliament.How orange can one man get ? Looks like an enjoyable visit though. 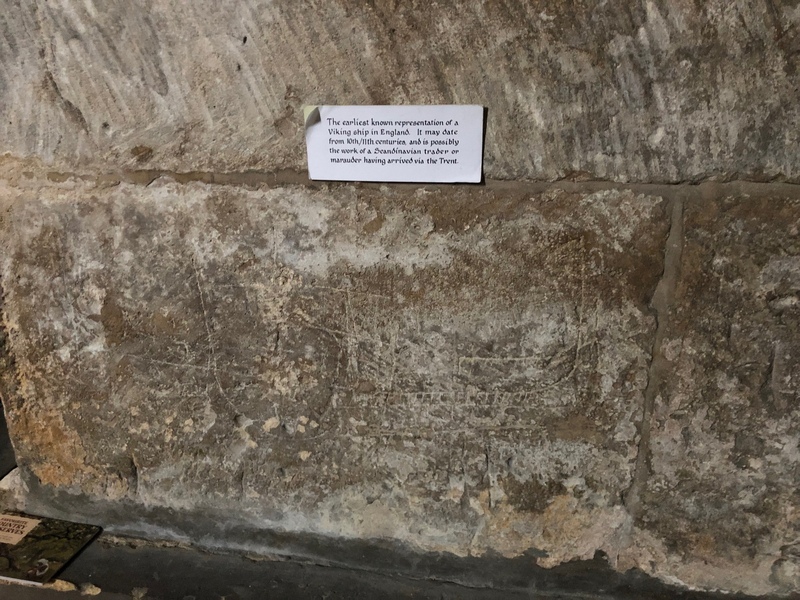 I believe that is a rather poor (or possibly just worn) version of the “Green Man” which you would have found all over Lincoln Cathedral, some of which were maintained and restored by my mate Jon when he was the resident stonemason there back in the 1990’s. 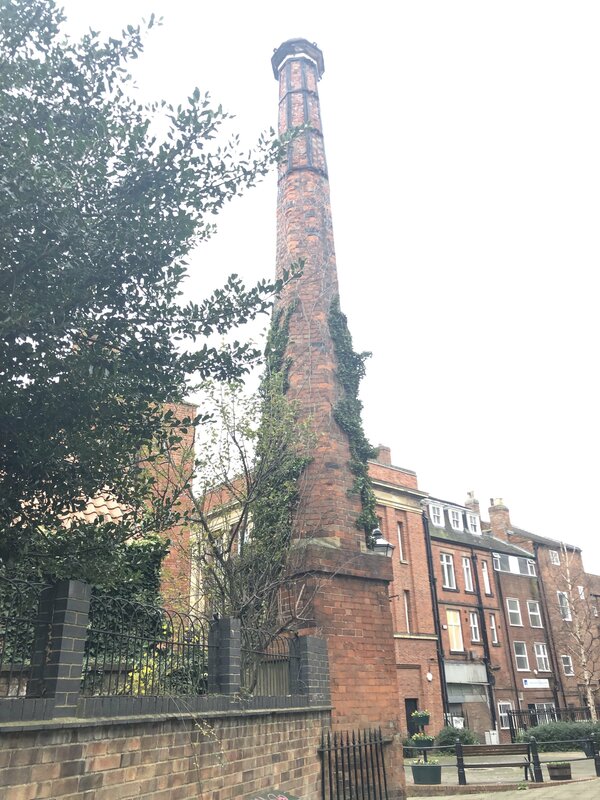 The “free-standing chimney” is probably a “Gong-Tower” linked to the sewerage system. You must have had a fine time, Mr Ed. Thanks for the photos and captions. I get to see the most interesting places through your lens! 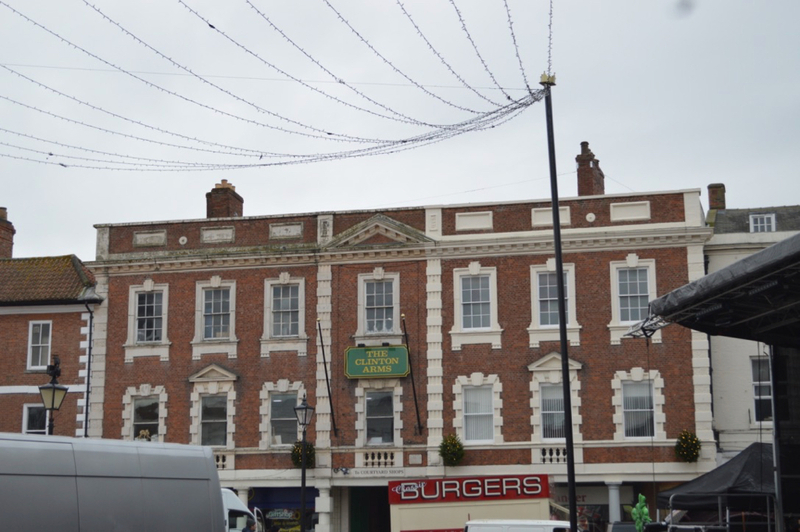 johnd and John G have both called it correctly, Newark-on-Trent, the most faithful Royalist town of the Civil War, surrendering after the King himself. A surprisingly overlooked town, unfortunately there was a travelling fair packing up when we arrived, hiding some of the buildings, and yes, there was a Gregg’s. My apologies for resurrecting memories of the Orange Man. 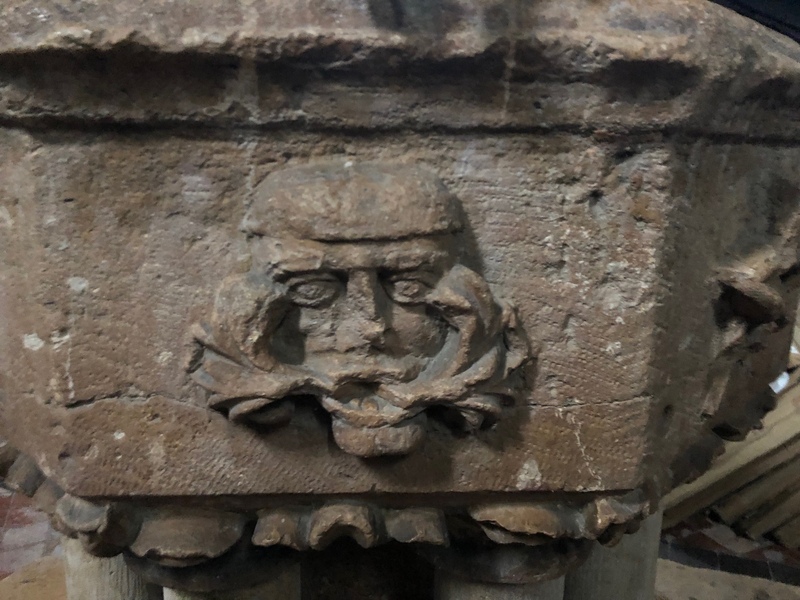 I thought it might be a Green Man at Stow, but that seemed a bit pagan (mind you, the Lincoln font has dragons). 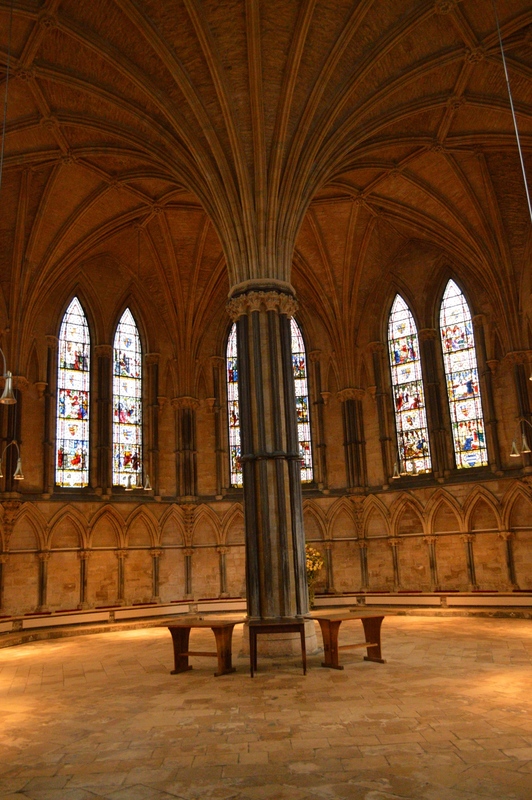 It must have been restored by now, given the age of the place, and Edward VI’s iconoclasm. Funny how Newark didn’t get the ‘Royal’ prefix or ‘Regis’ suffix, fighting beyond the bitter end for King, yet ‘Bugger‘ Bognor got one. There’s gratitude for you. tph: Gong Tower, surely ‘Pong Tower’? 😉 that would make sense. Pity the neighbouring house. 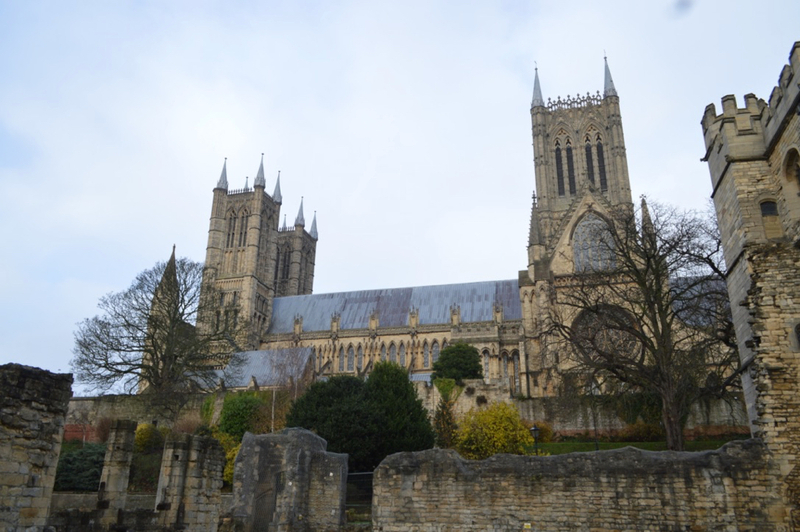 See, during the Medieval Optimum the bishop could have vineyards in Lincoln. During the Little Ice Age, not so much. And now we are getting *almost* back to medieval temperatures. Good for us. 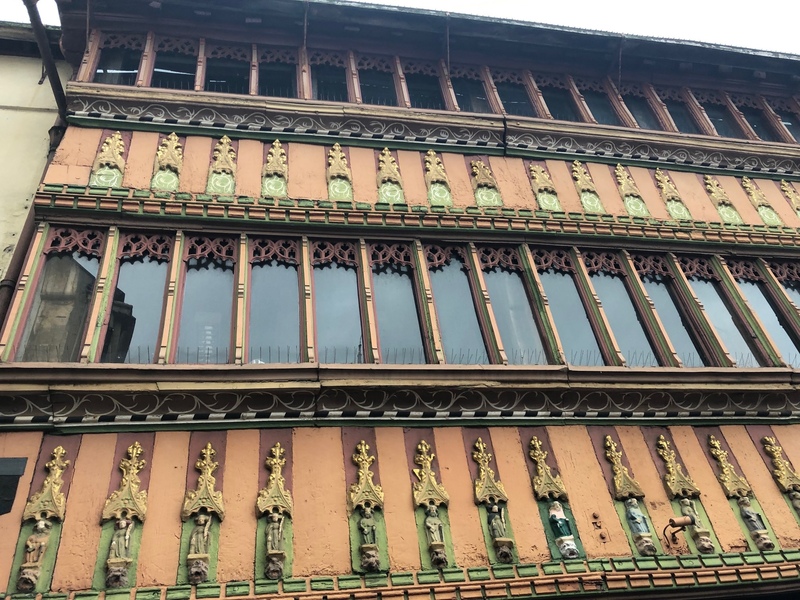 Was in Newark for a tourist visit recently, saw the Royalist stuff. 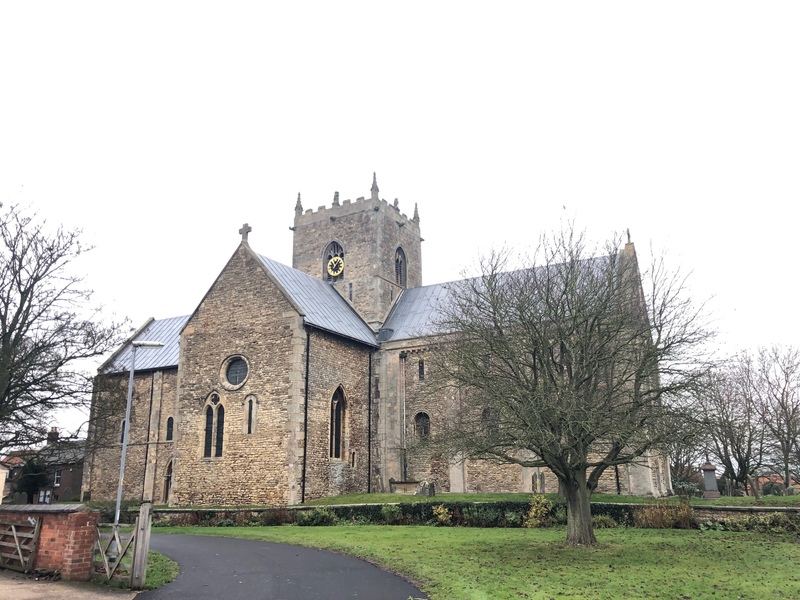 Whenever I drive around Lincolnshire, which I do occasionally, I’m always struck by the amount of country churches. Every little village has an impressive one. Many thanks to Mr Ed for a most enjoyable trip. St May’a (n its little village) struck me as very much how a Roman building would have been – but of course it is Romanesque and built when Roman ruins were not really ruins. 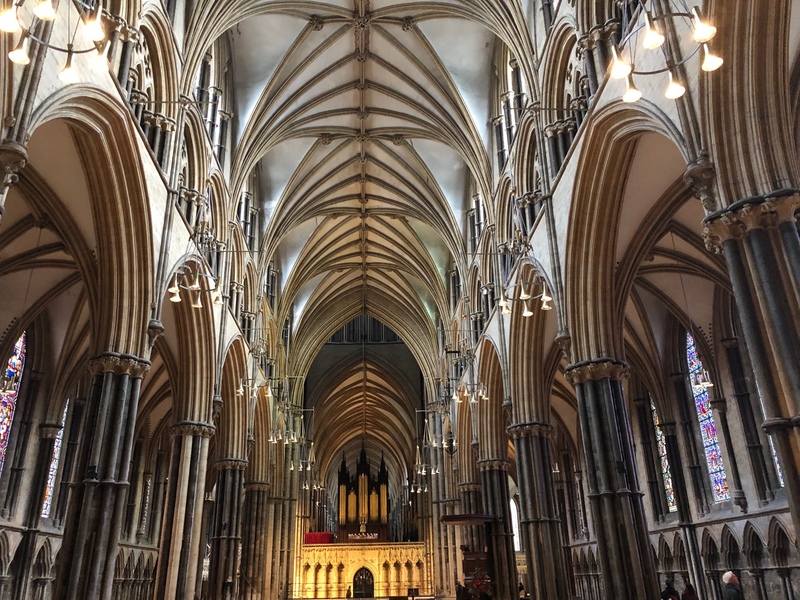 And I bet it does not take a million Pounds a year to structurally maintain as Lincoln Cathedral does (St Mary’s is the mother church of). 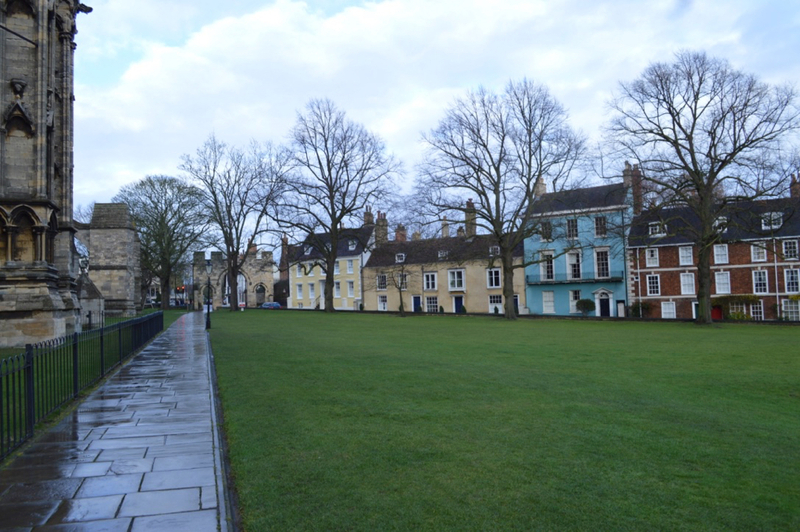 Lincoln is indeed a fine place – but there are a rather a lot student types, and beggars. Newark was a surprise to me, if I have been there before I do not remember it. 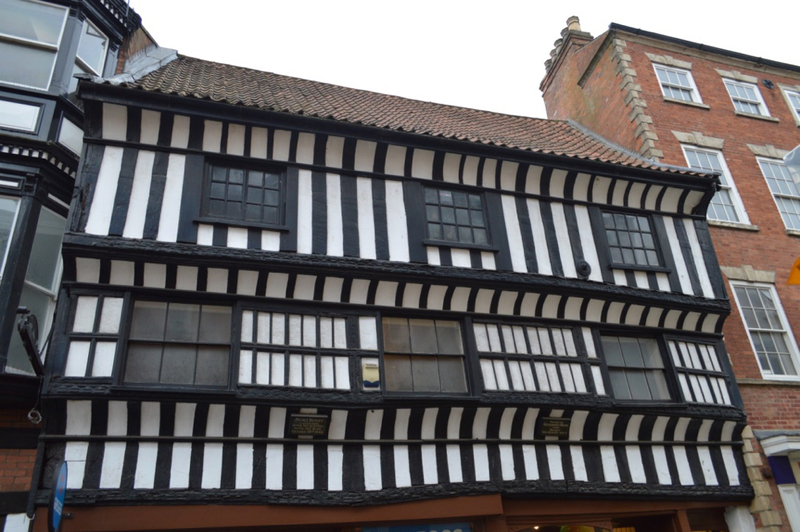 It is a fine working town – with a keen sense of history. The population struck me as honest people – several people actually said “Good Morning” to us as we walked. No one said “I am going to f*cking kill you!” which appears to be the default thing to say in my home town, and no one appeared to be on heroin, or spitting at people. You didn’t go to the playground near the bridge! Right chavvy it was. Having said that, Newark does generally have a decent rep in the area. Newark-on-Trent also has a rather fine independent wine merchant, (plus cigar sales), across the road from the castle. Run by rather fine people. No mention of Nettleham though, some 3 miles to the north-east of Lincoln. 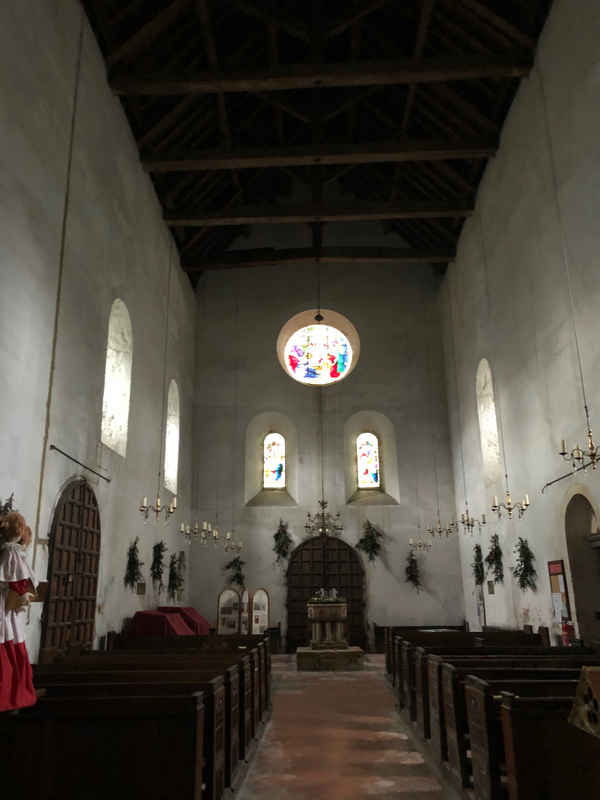 Site of the Bisop’s Palace with connections to Edward 1, Ealeanor and the first Prince of Wales…and, of course, a 10th century church. Worth a trip next time you’re in Lindum. 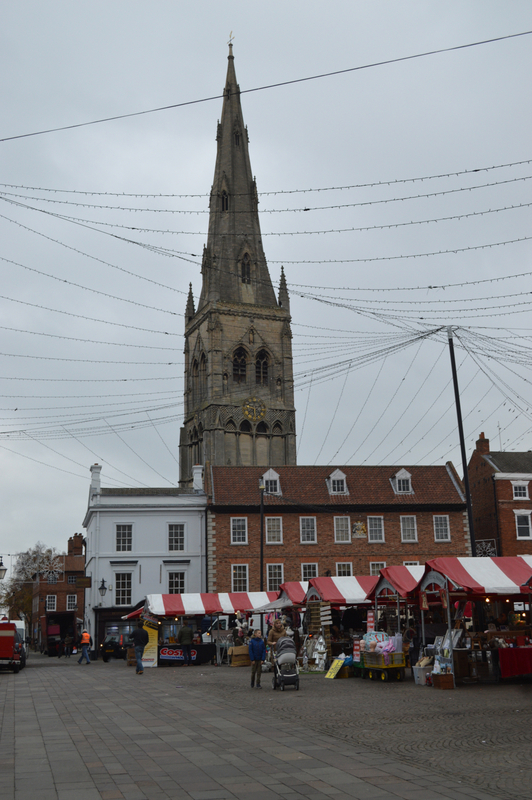 We managed to avoid any chavvy bits in Newark, it was remarkably decent for an English town these days. Time did not permit a visit to Nettleham, the November days were too short. Thanks for the tip, I shall add it to my list. We did see a cigar and booze shop in Lincoln. I noted that he sold Cuban cigars and Venezuelan rum, and I staged a boycott as the shop would have been expropriated in either country by the respective régimes (and if he was lucky, stop at that).